The Egyptian god of mummification and the afterlife, who judges mortals’ souls against a feather and decides who is allowed to go on to paradise and who gets eaten. Mr. Jacquel can take the form of a jackal. In America, Mr. Jacquel works as a funeral director and coroner for the town of Cairo, Illinois with his partner Mr. Ibis. 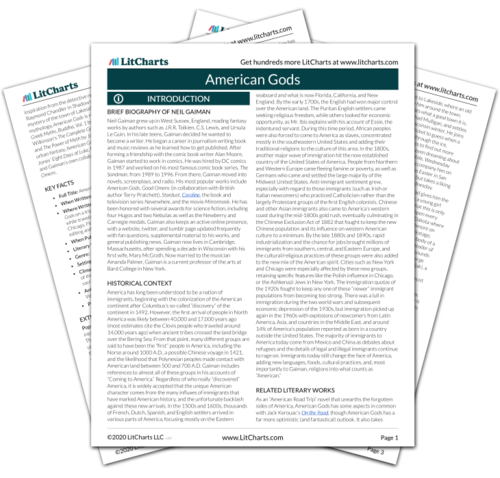 The timeline below shows where the character Mr. Jacquel (Anubis) appears in American Gods. The colored dots and icons indicate which themes are associated with that appearance. Mueller, Bethany. "American Gods Characters: Mr. Jacquel (Anubis)." LitCharts. LitCharts LLC, 21 Jun 2017. Web. 24 Apr 2019. Mueller, Bethany. "American Gods Characters: Mr. Jacquel (Anubis)." LitCharts LLC, June 21, 2017. 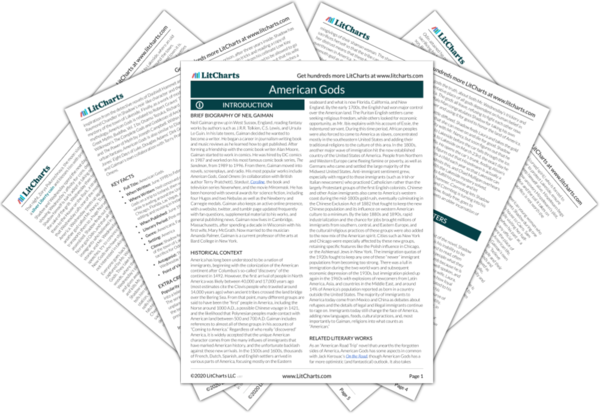 Retrieved April 24, 2019. https://www.litcharts.com/lit/american-gods/characters/mr-jacquel-anubis.